Welcome to Northern Data Ltd - please have a look at a selection of weighing scales, weighing pricing machines and labelling machines we have to offer and contact us for details of prices and our superb after sales back-up. Northern Data Ltd. supply quality weighing scales, weighing pricing machines and labelling machines to both the food, and non-food industries throughout Scotland. We pride ourselves on our ability to recognize your needs and provide unique and effective solutions to your needs. We provide the answer to a diverse number of your requirements, including weigh price labelling, retail packs, outer case labelling, process control, asset tracking, shipping and traceability. Northern Data supply, service and maintain machines such as Avery Berkel, Intermec, Digi, UWE, Ohaus and Mettler Toledo. 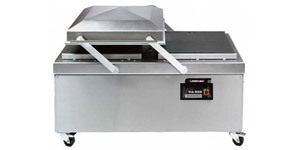 Ask us about reconditioned retail scales. 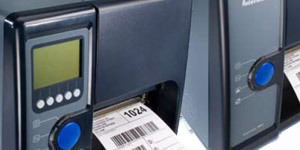 Northern Data Ltd. supply printers for stand-alone purposes or as part of an integrated system, often utilising weigh-labelling. 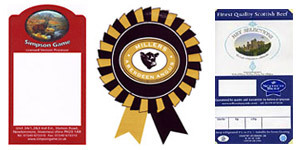 We supply labels from outer case blanks for boxes and pallets, to multicolour, part-printed to fully finished labels using Pantone to achieve a photo finish, and many of these labels may be used in conjunction with our printers. Our scales and Test Weights are calibrated and certified through Moray Council, the accuracy of the testing equipment is traceable to UK national standards via the National Weights & Measures Laboratory or approved UKAS laboratory. 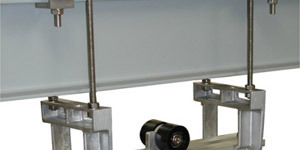 Click on this link to watch a video showing the Mettler Toledo IP rating test.